Post by Pastor Tim – One of the greatest acts of healing that our family experiences on a daily basis is our time spent confessing our sins. That’s right . . . I said confessing our sins! Unfortunately, the practice of confession of sins has been largely forgotten by the evangelical church. Granted, there are some traditional Protestant churches that practice a generic type of confession. This normally consists of prayer in unison and about 5-10 seconds of uncomfortable silence. Still, this is better than having no time of confession at all associated with a worship service. Now take a look at how we practice confession in our family and in DOTW Church. The leader may gently question or instruct you—not to pry or judge—but to assist in self-examination. I repent and ask for grace. In your mercy, Lord, hear my prayer. Why do we practice confession in such a structured and communal way? We tend to ask for forgiveness and apologize in a manner that is simply not Biblical. It normally goes something like this. Me: I’m sorry for not taking out the trash when I promised I would. My Wife: That’s okay. In this case, neither the asking nor the response is Biblical. The communal, formal structure of confession provides us with a Biblical framework when confessing sins. The Bible says to confess our sins to each other (James 5:16). We tend to view this as a command only to obey in extreme circumstances rather than in our day to day Christian lives. But there are certain things important to our Christian growth that can only happen as we confess to each other. For example, confession tends to soften our hearts to other Christians and to God when we confess and when we hear others confess, and it also enables us as the body of Christ to hold each other accountable. We can also more readily see the growth in each other as we see Christ’s transforming power. 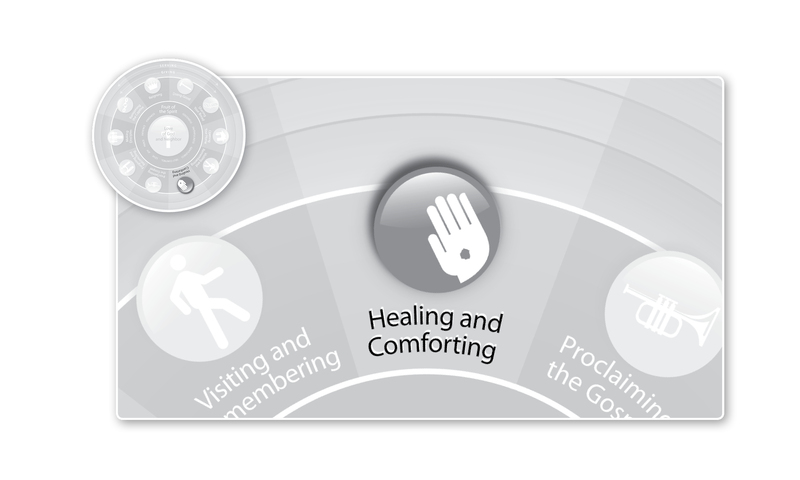 Finally, we also experience healing when we partake of confession as the body of Christ. The idea in James 5:13-16 is not that your particular sins are causing physical sickness, but that healing is a whole body, soul and spirit endeavor. So, it’s not that confession of sins is a prerequisite to healing, but that healing actually takes place through confession and the forgiveness of sins. This entry was posted in Healing and Comforting and tagged communal confession, confession of sins, luther's small catechism. Bookmark the permalink. I agree that we need to confess our sins to each other. The Sacrament of Reconciliation aside, if we practice what is advocated above how do we ensure confidentiality, particularly for sins that may be the occassion for gossip. What if someone confesses to committing a crime and one of his brothers/sisters calls the police? I would think the public nature of such confessions would lead to only the most trivial of sins confessed before the group. Without anonymity and the inviolable seal of the confessional under Canon Law, how could one be sure of their safety and confidentiality? Everyone is a narc for the government these days. Churches live in fear of failing to report something and lack of reporting could lead to a jail sentence. How do you address these concerns in your model of group confession? Thanks for commenting! You raise some good questions, and I think that this deserves a separate blog post. A blog post about the “how to” of how our church body does confession. Look for this next Wednesday! I’d also be curious to know about your experience and if you have been able to practice this type of confession. My experience is primarily Sacramental confession within Anglicanism. The drawback that I see with the Anglican understanding of personal confession (i.e. “all may, some should, none must”) is that confessing to another human being is not REQUIRED. Add to this a very strongly worded confession during Holy Eucharist (of which some of your language above is borrowed verbatim) and you have the recipe for people thinking that all they need to do is confess during Holy Eucharist. Very few Anglicans take advantage of the Sacrament of Reconciliation due to this, I think. On the other hand, the Roman Catholic Church does not have a strongly worded confession of sin during Mass. Many have criticized this, but there is a good reason….it’s not considered confession! Confession must be done in the Sacrament of Reconciliation with a priest who then pronounces God’s absolution and then may prescribe a penance. This penance could include, among other things, asking the person you sinned against for forgiveness, if you have not done so already. If you are in mortal sin, you cannot take the Holy Eucharist. You’ve excommunicated yourself from the body until you confess. Eastern Orthodox practice is similar. It’s done before a priest but still must be done. There are strict canons in both the Roman Catholic and Eastern Orthodox churches about the seal of the confessional. It may never be violated. If a priest violates the seal, he is excommunicated. The Anglicans don’t have strict canons on this, which is another reason that many may not take advantage of it. The communication between priest and penitent have “absolute privilege” and cannot be broken. This has been the the tradition of the Church. So, I am wondering how one can ensure this in a group confession unless your parish defines this as confession and considers it absolute privileged communication. Still, you have the gossip factor. My own experience of group confession came through leading a 12 Step program. Transparency and anonymity are guaranteed in such a group. Most don’t know each other and just use first names. A church group is another matter! Thanks for sharing a little bit of your background in regards to confession! You bring up some good examples from the different faith backgrounds and I may use some of this to write my post next week. I look forward to hearing your thoughts after I write the next post.